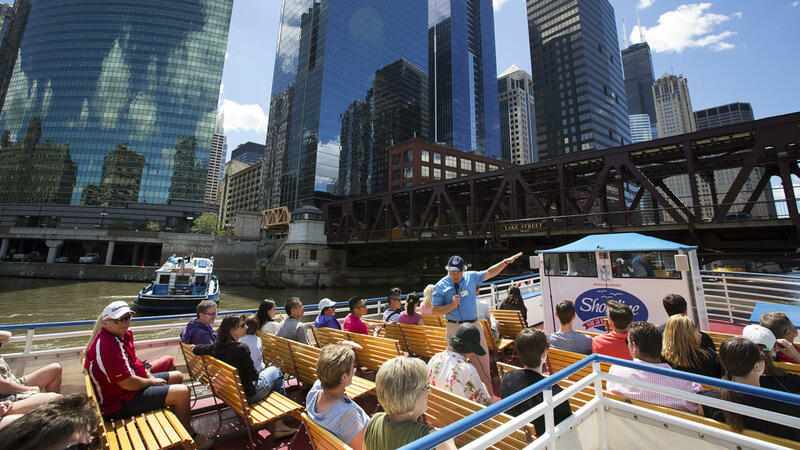 Shoreline Sightseeing offers its popular Spanish-language Architecture River Tours Saturdays in April, expanding to Thursday, Saturdays and Sundays in May. The full schedule of four departures weekly (Tuesdays, Thursday, Saturday and Sunday) will begin June 10. All tours will depart at 9:30 a.m. from Shoreline's dock at the northeast corner of the Michigan Avenue Bridge.Shoreline's bi-lingual guide, Jim Collins and his team of professional, Spanish-speaking guides, will lead the 75-minute tours in Spanish and will also be available to answer questions after the tour. 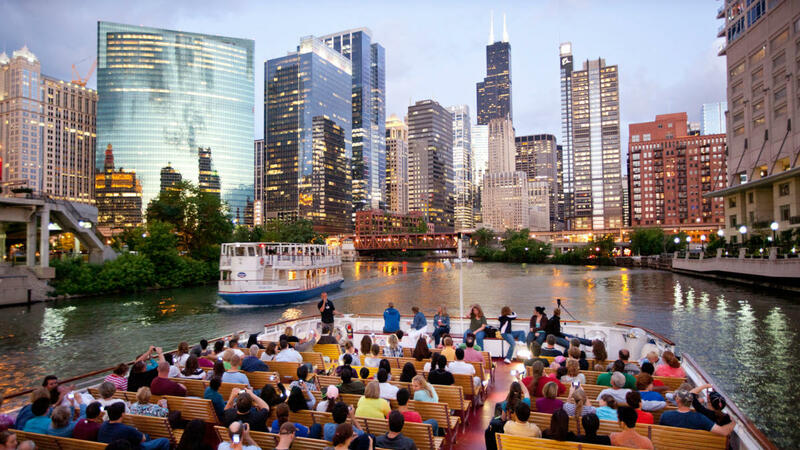 As with all 75-minute Shoreline Chicago River Architecture Tours, the Spanish language tour will highlight more than 40 of Chicago's world-famous landmarks. Collins and his team will share the history of Chicago’s dramatic rise from the Great Fire of 1871 to become the home of the skyscraper and a major influence on modern American architecture. 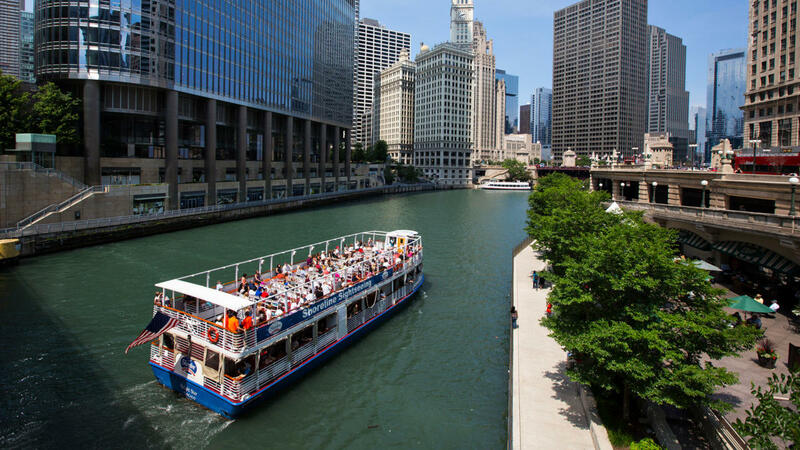 Tours also offer close-up views and excellent photo opportunities along the Chicago River route. Please check website for daily schedule updates. Tickets are available in advance online or by phone. 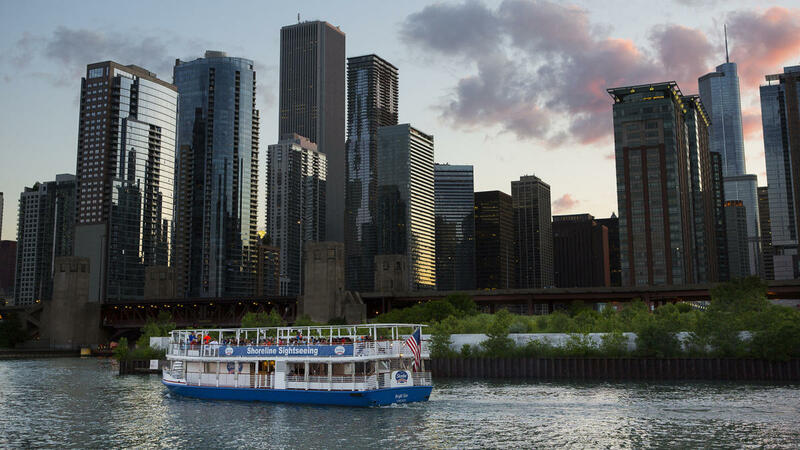 About Shoreline Sightseeing: Now in its 80th season, Shoreline Sightseeing operates Chicago's largest and most diverse fleet of cruise boats and water taxis with 11 major tour vessels and six water taxis. Brothers Chip and Matt Collopy are the third generation of family ownership. Adults: $37-43, Children 12 and under $19-24, Infants 2 and under Free. Multiple CTA buses including :#3 king Drive, #29 State, #65 Grand, #66 Chicago, #124 Navy Pier serve Michigan Avenue and Navy Pier with connections from Millennium, Ogilvie and Union Stations, or consult CTA at https://www.transitchicago.com/planatrip/ or RTA at http://www.rtachicago.org/plan-your-trip.